George Goltzer is a highly experienced criminal defense attorney, concentrating in the defense of serious, complex federal and state cases at both the trial and appellate levels. He is a former President of the New York State Association of Criminal Defense Lawyers and a Fellow of the American College of Trial Lawyers. Mr. Goltzer is a veteran of many high-profile cases, including lead counsel in United States v. Basciano, the federal death penalty trial in which the alleged acting boss of the Bonanno crime family was accused of capital murder. Other major cases include the Detective Vendetti murder, tried to acquittal, the Brian Watkins Utah tourist murder, where all charges were dismissed, the first ColomboMob War trial, resulting in acquittal, the Arohn Kee serial murder trial, involving major nuclear and mitochondrial DNA issues, and the Two Mile Posse racketeering/murder trial, resulting in acquittal of the most serious murder and RICO charges. Mr. Goltzer has been a frequent lecturer on a variety of criminal defense topics over the years, appearing at Continuing Legal Education programs sponsored by the New York State Association of Criminal Defense Lawyers, Association of the Bar of the City of New York, New York State Bar Association, National Institute of Trial Advocacy, New York Legal Aid Society, New York State Capital Defender Training Program, and Federal Capital Training Program in Philadelphia, among others. He has been on the guest faculty at trial advocacy programs at Hofstra, Cardozo and Widener Law Schools. 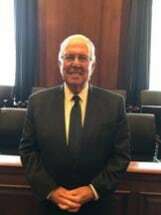 Mr. Goltzer is a member of the bars of the United States Supreme Court, the United States Courts of Appeals for the First, Second and Fourth Circuits, and New York State.